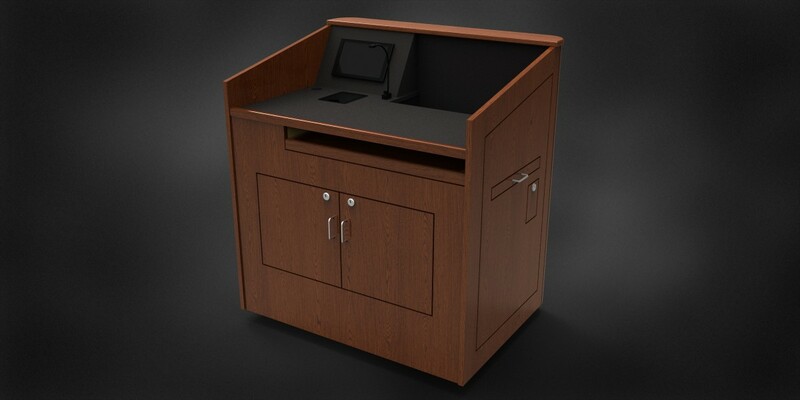 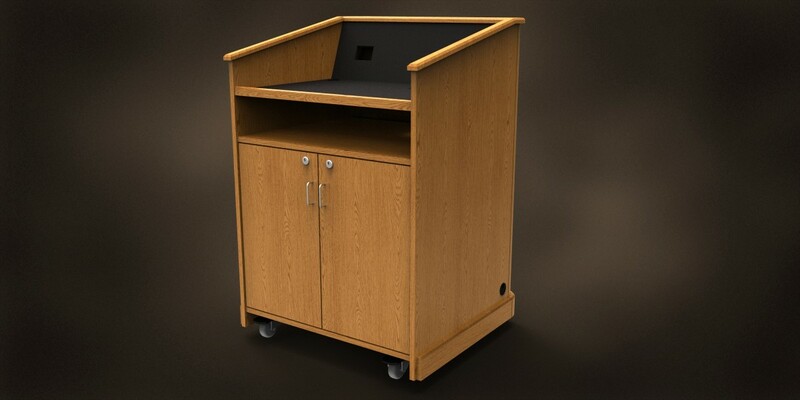 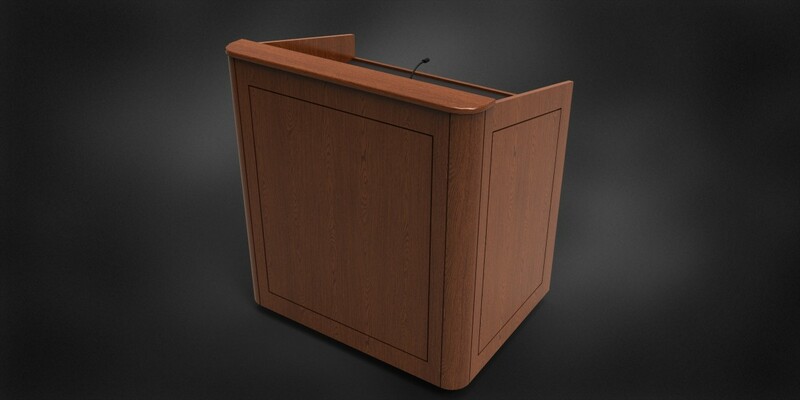 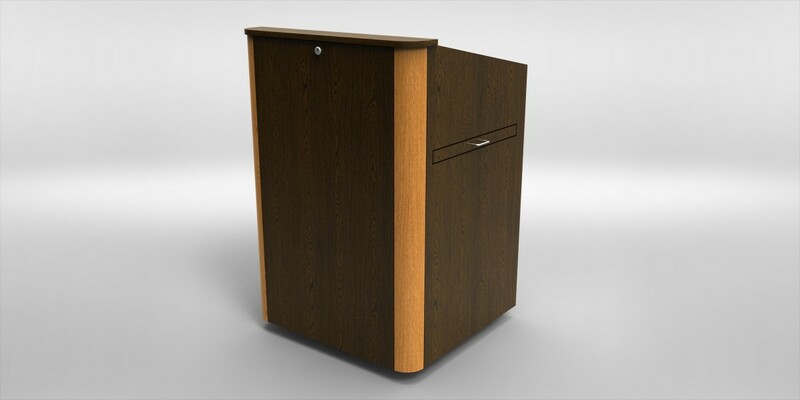 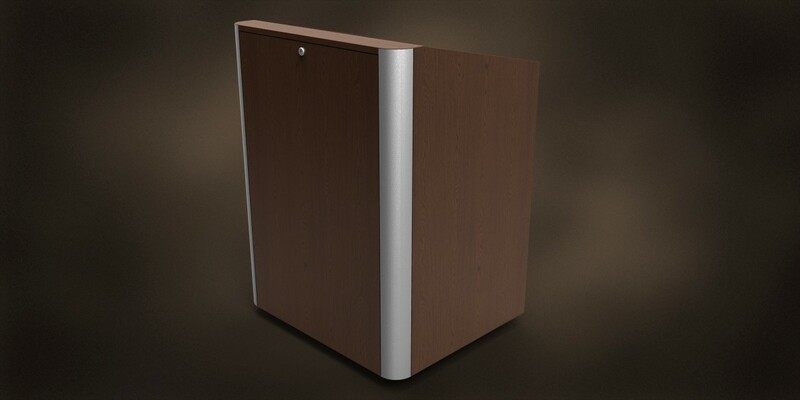 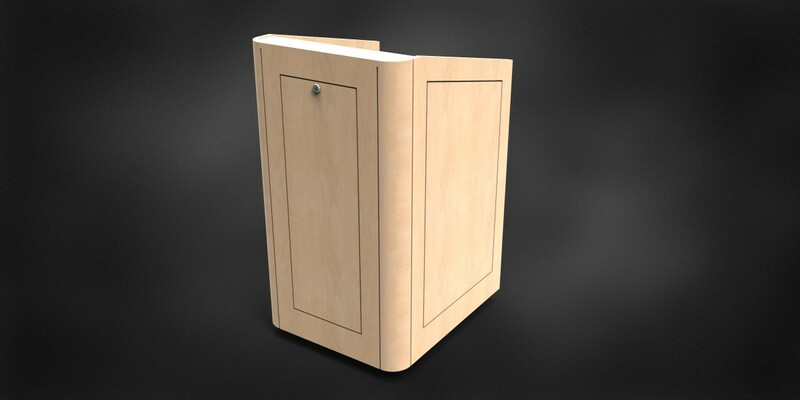 For a more contemporary appearance, consider our Radius Series lectern. 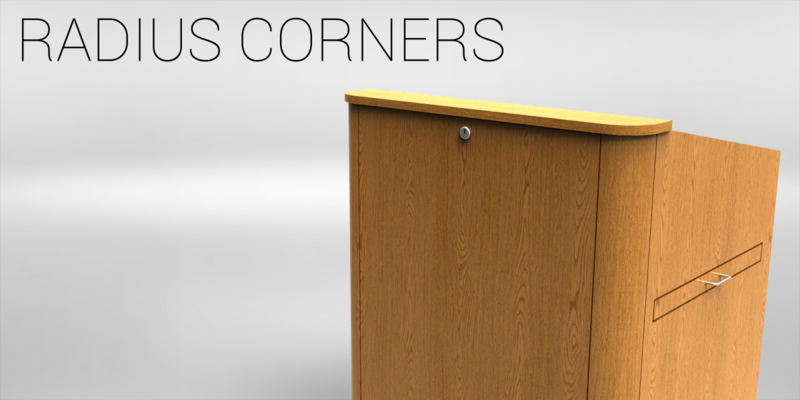 The curved front corners offer a gentle transition from front to side panels. 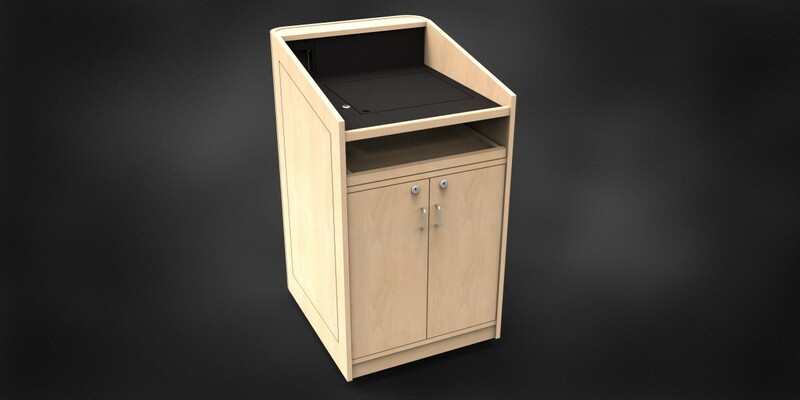 The curved edges can be blended into the unit or finished with a contrasting material. 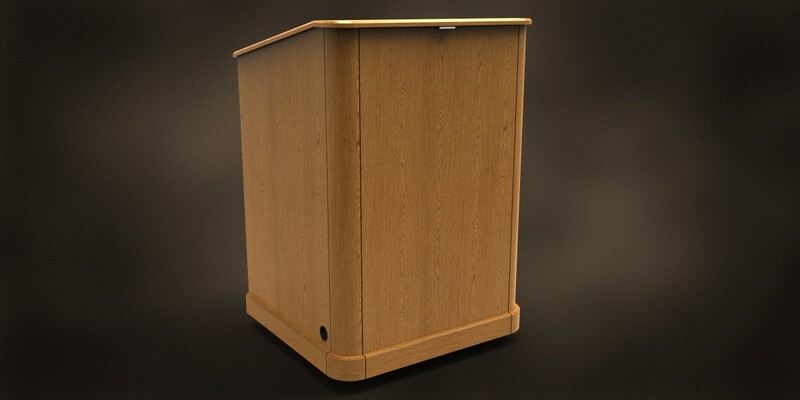 The Radius can be ordered with all of the features available on other models.